It's National Nutrition Month: Ten tips to Achieve and Conquer your goals! With New Year's resolutions in the rear view many of us may have fallen back into old habits, but spring is around the corner. It is a great time to turn over a new leaf. Plus, be it lion or lamb, March brings with it the annual observance of National Nutrition Month, an education campaign designed to help us focus on the importance of making informed food choices and developing sound eating and physical activity habits. Watch out for social media. If you follow any of the hundreds of Instagram accounts or Facebook accounts of people who “are there” in terms of physical perfection, this can be informative but also negatively impact your psyche. When you see the flawless bodies and you compare yourself to them, it makes you feel defeated before you start. Worse yet, it may stop you from starting. While it is good for you to see what is possible and can be accomplished, don’t forget you do not know the rest of the story in someone’s life. Maybe a genetic superiority, maybe they are taking drugs, maybe they’ve been at it for years non-stop. The solution? Compare yourself to yourself. Take pictures of you on day one, facing forward and sideways. Then do it again in one month. Never mind how that body builder or model is looking, you look at YOU. Learn to appreciate your own progress. Comparing yourself to The Rock will make you feel awful! Don’t do it. One positive of social media is the ability to read transformation stories showing regular people struggling and supporting each other along the way. Do join forum groups on Facebook like Eat, Train, Progress. Track calories and macros (fat, protein and carbs). Educate yourself because what you eat is crucial to success. Use an app like My Fitness Pal or Lose It to really get a picture of what you’re consuming. This takes practice, but worth it. 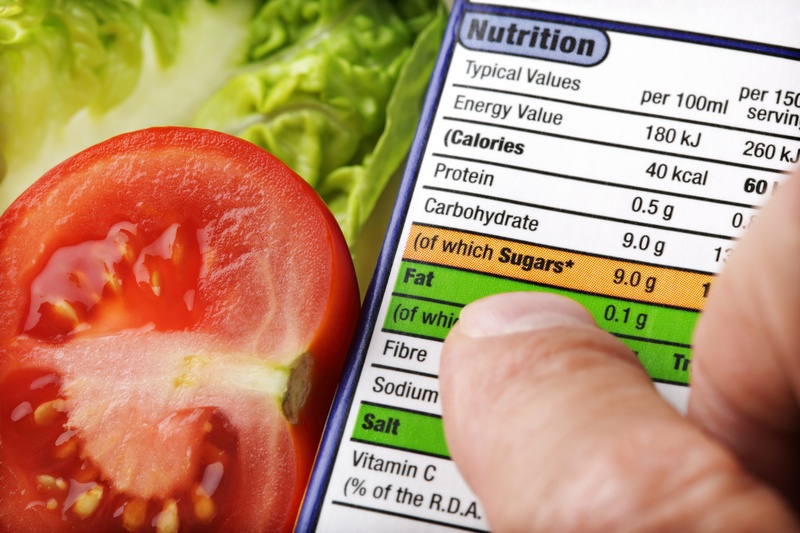 Most of us don’t realize just how many calories are in the foods we eat. In this way, you can make educated decisions on what you’d rather eat to meet your daily requirements. Also, tracking will show you proper portion sizes. You will be able to see how much progress can be thrown off with a couple of beers or a trip through the drive through. More importantly, you can see what things you CAN eat and not be hungry. This will help you stick to good choices. If you have to track it, you will probably think twice before adding it. You can have that slice of pizza, but TRACK it. Know that eating “in moderation” is not for everyone. If you know you have a weakness for a particular food thing (peanut butter, donuts, chips, cookies) you will be better off by not having them in your truck. For some of us, it’s better to just stop all together than to say “I will have only one.” Be realistic, you know yourself, act accordingly. Don’t count on willpower. Research has shown that those with the most willpower avoid situations where their willpower will be tested. It is far easier to stop cold turkey than it is to lessen the frequency or amount of something. It is much easier for you to say no to a chocolate chip cookie than it is for you to eat one and have to fight the urge to eat 12 more. Let’s put it this way, you’re hungry for a snack and you know you have a bag of leftover Christmas candy and you also have fruit. Are you going to eat an apple? Heck no! You’re going for the Snickers Santa. It is human nature. So, this is what you do: Go through the food storage area in your truck and put all of those super high calorie foods in a bag. Cookies, candy, sugary cereals and donate them to your local shelter or individual who may be homeless. The next time you go shopping, you won’t buy any of those things. If you change your surroundings then you too will change. You can’t out exercise a bad diet. Started a new workout plan? Great! This does NOT give you a pass to eat like you’re accustomed to eating and still expect to see results. If you simply reduce your food intake by 500 calories per day (roughly the calories in a Big Mac) you will save yourself from spending approximately 7 hours of exercise (roughly what it takes to burn 500 calories). That daily candy bar you have to boost your midday slump, replace it with fruit and a handful of nuts. The dreaded scale. The scale is one thing which I’ve learned to wean myself off of. While it offers a way to gauge progress, it can also backfire. Weight fluctuates daily and this number on the display has the power to set the mood for the rest of your day. Don’t let it. Measure yourself instead. As mentioned before, keep a log of your body with pictures. If you’ve got a couple of dumbbells in your truck, measure your progress by how many times you can lift them or if you can go up in weight for the same number of reps.
Be realistic with your expectations. You’ve heard a variation of this saying before: “It took you a long time to gain the weight, don’t expect it to be gone overnight.” This is perhaps the biggest reason people give up on their goal. If you tell yourself you’ll have a six pack in 6 weeks for example, the first couple of weeks you are pumped and highly motivated. As you approach the end of the 6 weeks, your excitement and motivation has dwindled to nothing because you do not see those abs. Frustrated with this, you decide “Forget it, this is too hard.” And you stop. Small wins should be celebrated. Don’t be so darn hard on yourself. Please ease up and do not talk to yourself in a negative way. The fact that you’re still reading this is a small success. The fact that you went for a week passing up on the candy bars and replaced with fruit and nuts is another success. When you’re starting out, progress is slow, it takes time to turn the ship, but you’re ahead of the ones who have given up. Walking 2 times around the truck before boarding signifies you’re doing infinitely more work than before. This too is a success. I know you want to see it now, but if you don’t celebrate the small wins you will be disheartened and what you see as “lack of progress.” This is HUGELY IMPORTANT. This feeds on itself. This builds confidence. If you can do 2 laps around the truck, why not do 3? Slowly you will see progress. Motivation will come back! Stick-to-itiveness. If you can stick to it, it’s a good plan. You can purchase the most amazing workout guideline in the world….but it is useless if you can’t stick to it. You could dramatically cut down on your food intake to 1000 calories per day and start speed-walking everywhere you go for a week, but could you sustain that for a month, 6 months, 2 years? Most will need 2-3 years of improved diet and increased exercise in their life to achieve a desired body. The fitness game is a long one, give yourself time and figure out what works best for you. Let it work for you and not against you. Get ready to have your mind blown now: You’re less likely to continue doing something if you don’t enjoy it. BOOM! Here is the point: If you enjoy eating bread, eat bread. If you enjoy meat and cheese, then follow a low carb diet. If you like putting butter in your coffee, what is wrong with you? Not to be all cliché…but this is a lifelong commitment and the only way to stick to it is to do something that is sustainable long term. Bad days. Accept the fact that some days you will feel terrible. When you see someone who has achieved a goal of fat loss, the tendency is to think: “They always workout”, “They always eat the right amount of calories”, “They always get their 8 hours of sleep and take their vitamins”. The truth is – they don’t. Those people struggle just like everyone else. They too have days when they eat poorly and go from sitting all day to sleeping because it’s cold and raining so there is no way I’m going to walk. The key difference in people who achieved a goal and you is that they know bad days are going to happen – heck, they know the bad days will outweigh the good days. And because they understand this, when the bad days come they don’t overanalyze it and lose hope. They accept it and move on. Doing this leads to consistency which leads to progress, which eventually leads to huge changes. Credit: Adapted from Physiqonomics blog.